strange I just got a mandatory evacuation order from the county..no storm surge would reach me,especially where this storm is coming from..sorry I'm riding this one out at home. I hear ya Largo...if the surge is not an issue stay home and hide from the wind! gomexwx wrote: I hear ya Largo...if the surge is not an issue stay home and hide from the wind! Good Friday Morning folks and a not so good TGIF HUH...models this morning coming into agreement on Irma coming up Florida, for myself I'm staying put..but a lot around me are leaving,hopefully the worst effects stay towards the east,80-90mph winds I guess I can take hopefully I don't get the way over 100MPH winds here..im sure some of these tree's around me will come down, hopefully one will hold my roof down.lol...gee it sure is scary..the not knowing how Bad it will be here...massive destruction a very real possibility for Florida huh.....well blogs COFFEE is perking for when you get here..enjoy and prepare and be safe ok..
well I'm thinking,since it will be overland coming up florida..it should weaken some by the time it gets to central florida,maybe down to a cat-3 or cat-2,im hoping this indeed happens..since I'm riding this one out at home and nws is scary me lol...just as long as it doesn't go in the gulf and remain a 4-5 I should be ok..but...so much uncertainty yet on track etc......where is that Turn to the east? 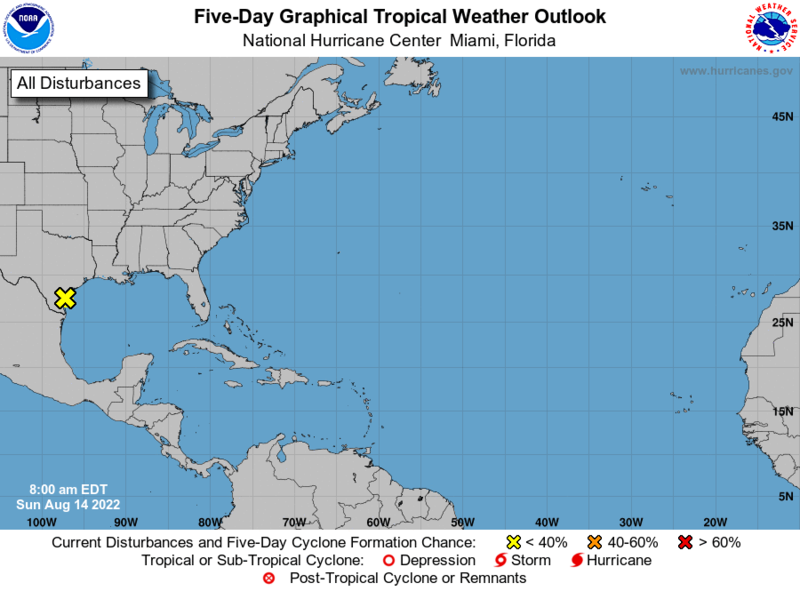 lol...looks like that went away fast huh...well for all of us staying...be well prepared and stay safe ok.
MPH, and frequent deadly lightning strikes. well those of us who are staying,we will be living thru weather History,something if we live thru this, we can tell stories about it to our grand kids huh gee..
a cat-2 is so much weaker than a cat-4 or cat5 huh..but still way too early to believe just yet. Morning All, Largo at least you are prepared. Just to let you know I will be riding out the storm at my house. Not really any place to go at this point. Roads are a mess and no gas or not much gas. ok john...just saw some maybe good news on tv..now Irma by the time it gets up to us..may be down to a cat-1 hurricane! !..same here..riding this one out for sure. Hi all. Staying put here as well. Primary concern is being on the east "dirty" side with the tornado threat. StAugustineFL wrote: Hi all. Staying put here as well. Primary concern is being on the east "dirty" side with the tornado threat. Hi Aug,probably a good idea staying..tracks drifting westward somewhat,lets see how it goes tomorrow track wise...stay safe ok.
lets see if it goes down to a cat-2 by my area. LargoFL wrote: well those of us who are staying,we will be living thru weather History,something if we live thru this, we can tell stories about it to our grand kids huh gee..
Hey all. Well this is it, ready or not Irma is on the way. Thanks Largo for keeping us up to date on the latest tracks and conditions. They evacuated the folks W of 19 by us but we're high and dry. Boy you wouldn't know by looking outside today that all hell is gonna break loose. Prolly get ice tomorrow. Irma needs to get outta dodge asap. I see my moniker is next after hurricane Lee this year... storm can't be as mean and onery as Irma! 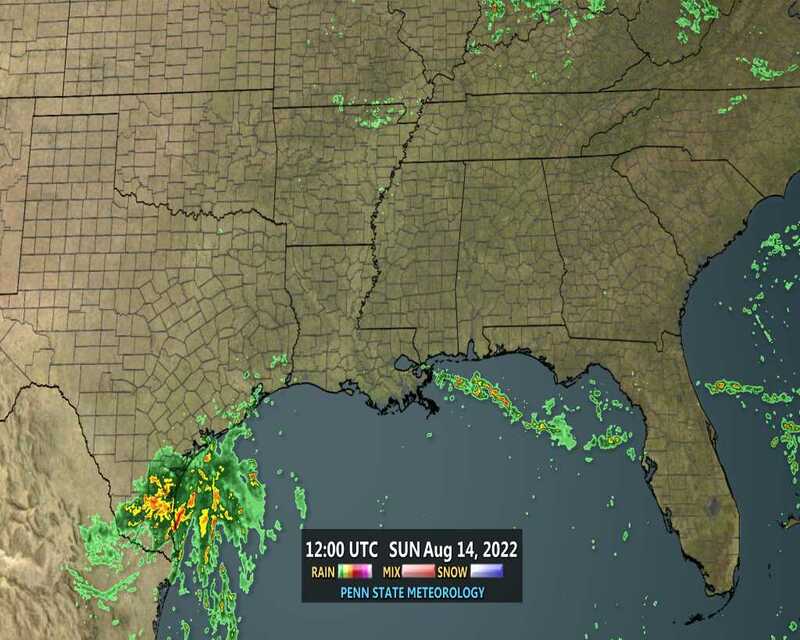 yeah Gome this is the first monster hurricane ive ever been in,whew real scary this latest track up the gulf coast now..oh well we'll see how this plays out. PuppyToes wrote: Hey all. Well this is it, ready or not Irma is on the way. Thanks Largo for keeping us up to date on the latest tracks and conditions. They evacuated the folks W of 19 by us but we're high and dry. Boy you wouldn't know by looking outside today that all hell is gonna break loose. Prolly get ice tomorrow. Irma needs to get outta dodge asap. I see my moniker is next after hurricane Lee this year... storm can't be as mean and onery as Irma! hiya PT yeah we are going to get this around here alright..wonder when they will shut down the power around here..maybe sunday..well stay safe ok.
We've never seen anything like this before. Hurricane force winds may reach Georgia. Insane. Be safe everyone. Track changes so often. BillsfaninSoFla wrote: Be safe everyone. Track changes so often. Hiya Billsfan, yeah the 18Z GFS now has the eye or center coming up over or very near tampa bay area..I guess I'm going to get to feel all her fury in a couple of days from now...well I'm all boarded up, got plenty of supplies etc..nothing more I can do..im guessing as log as the roof stay put 'll be ok..never lived thru a hurricane this strong coming over me...life threatening the Gov is saying..i kinda believe him...well stay safe down there ok..
folks don't listen to the tracks they are showing on the news..this Hurricane is so huge it will cover florida coast to coast..we all get a piece of this. indeed we all will be living thru an historic storm. well good night folks..stay safe out there. yes,gee Billsfan,you stay safe ok over there,perhaps it got a lil better for you with Irma coming my way,i hope so...we here are expecting a strong cat-3 hurricane coming either right over us or real close sun-mon,for sure i'll have power out maybe for a week or more,im guessing as long as the roof holds i'll be ok..if it fly's off..im don't for gee..never been so scared in my whole life but I'm staying put and riding this out..i just hope Irma doesn't stay in the gulf as it rides northward...oh well stay alert and safe out there. Well now up the west coast of fl. Cant say i didnt see this coming but my thought was the middle of the state. Largo if your roof startes coming off then find a room in your house with no windows and hunker down. Also take a mattress with you if you can. i would say if your having second thoughts then find a shelter. Be safe EVERYONE!!!!!!!!!!!!!! Good Saturday Morning folks...I guess tomorrow and Monday i'll get to see how a Cat-3 hurricane hits my area..one of those life's experiences you will never forget I suppose..just hope my roof holds up and no injuries for us here...well I have a ton of things to do today before this hits...well take care folks and stay safe ok. Morning all. I'll be thinking of everyone. Stay safe and hope to see everyone check in safely once Irma passes and power is restored. A pre-Irma local nor'easter has set up here. Parts of the county had 5" of rain yesterday. I had .87". I DO NOT like much rain preceding a hurricane to soften up the ground for trees to tumble. NWS is forecasting 2-4"+ before Irma impacts begin. Checking in from NPR. About as ready as we can get. Let's all hope we all make it through this. rjla67 wrote: Checking in from NPR. About as ready as we can get. Let's all hope we all make it through this. Good luck rjla67 and all the other west coasters. Gonna be a bumpy ride. Sigh. Good Sunday Morning folks!..well I'm waiting for Irma. I'm really hoping she dies down some but it doesn't look good for that..well gotta go..stay alert and safe folks..
well since I'm only 4-5 miles from the coast,guess I get the eye wall around midnight thru 2am on. Hey again. Tornado warning in Polk Co. Something else we need to be aware of. PuppyToes wrote: Hey again. Tornado warning in Polk Co. Something else we need to be aware of. Stay safe all. I didn't board up as winds are "only" expected to gust to 70mph or so. I did use the reinforcement beam for the garage as they are at most risk. Dynamic radar from Key West. Amen. From south to north FL gets through the next 12-30 hours and it's smooth sailing. yes stay safe folks,i hope Billsfan is ok, Miami and fort Lauderdale have been getting some serious weather down there,and there are reports of 100mph wind gusts the news said awhile ago..hey st pete are you in a good zone to stay out of the flooding they say is coming with this high storm surge? I'm wondering when I will lose power,maybe tonight when the high winds start..oh well..stay alert and safe folks. ok good st pete..yeah I have a lot of huge oaks around me..really scared about whats going to happen here tonight..hearing all the stories from down south about all the tree's down gee...just hope my roof stays on..if it does i'll make it thru this. You've done all you can Largo. I wish you all well. Few heavy rain bands have been moving through from time to time. Quick hitters. Sitting around 3.5" the past 3 days from pre-Irma and now Irma. Winds are relatively low but ramp up to 50mph or so for a few seconds when a heavier squall hits. I suspect power will go later this evening.